Tillotson Trading has architectural salvage and antiques to recreate your farmhouse or barn ...or to bring a little of that "farmhouse feeling" to your contemporary home. Please click to view our Flickr photostream and then click on individual photos for details. Hot Dip Stripping Update: As many of you may know, I have stopped doing hot dip stripping for the public. However, I will still offer stripping services if you buy something from us and I am able to strip it. Long-term commercial accounts, please still free to contact me. Thank you to all of our hot dip stripping customers over the last 26 years. We appreciate your business. 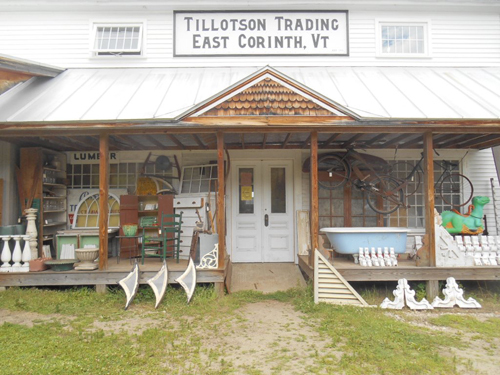 Tillotson Trading specializes in reclaimed salvage such as antique doors, hardware, windows, cupboards, sinks, clawfoot tubs, columns, porch posts, boards, beams, etc. We also provide hot dip stripping for those architectural pieces that need restoration. If your tastes are on a smaller scale, visit our shop for linens, dishes and those little finishing touches. Still haven't found what you are looking for? 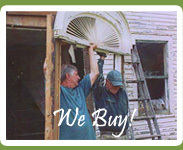 We do some custom building, such as hard to find transom barn windows. Or, if you have something you think we would be interested in, please give us a call. We are always looking for those odd farm related pieces that are hard to find when you need them. Please check the rest of our website for a preview of some of the things we have to offer. Our Flickr photostream is a great way to get a feel of our inventory. Many pictures have additional information when you click on them and scroll down to the text below the photo. But remember, to see our entire inventory, you will have to come and visit us in person. Things change around here daily! Payment can be made by check or cash, but we do not accept debit or credit cards. Follow Tillotson's board Projects to try with salvaged materials and antiques on Pinterest.